What are they? Solid wood panels that cover the window entirely. Cons Less flexible, they are either open or closed. No louvers to adjust privacy or light. Best for Bedrooms. Draughty period properties. The Solid Shutter style is probably the most traditional English style of shutter we can provide. Available as a solid raised panel similar to a Victorian door, these resemble the original shutters mounted in Victorian properties to secure their homes when vacated. Still seen in some very well preserved properties of the age, these shutters folded back from sash windows into window boxes that made them appear to disappear into the reveal. Our expert and friendly team are here to help you design the right window shutter blackout solution for your requirements, as quickly and efficiently as possible. 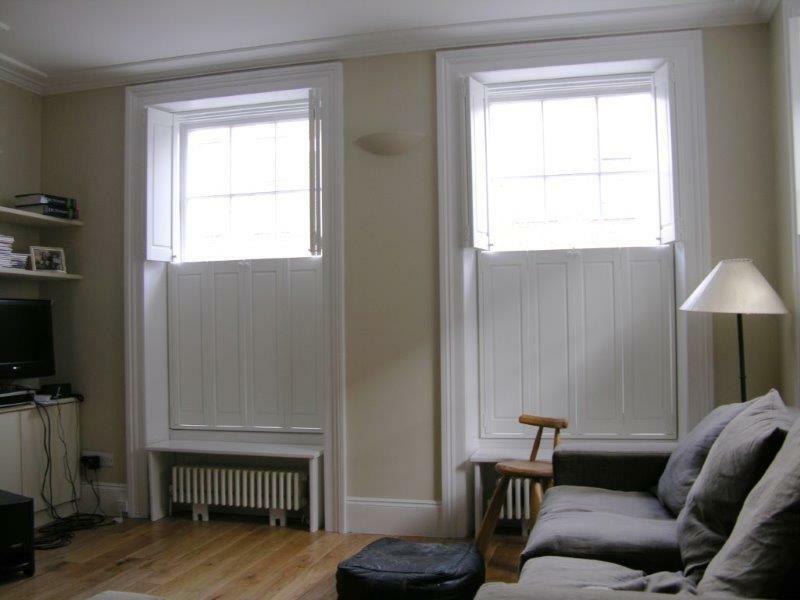 Over the years, many of these original shutters have been painted over and sealed in place so they do not operate and these days we tend to dress such windows with louvered panels, which are a more flexible and contemporary solution to dressing sash windows. 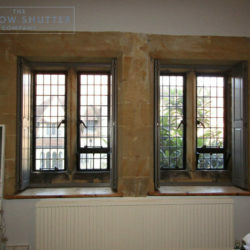 Shutters are an ideal solution for dressing Georgian, Victorian and Edwardian sash windows. 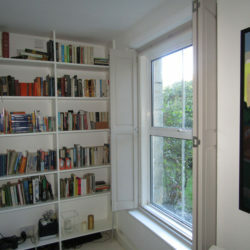 Shutters compliment the natural lines of the window and can be easily fitted to the box frame. All styles are possible - Solid, Café style, Full Height or Tier on Tier - your decision being influenced by the need for privacy and light control, and the style of your property. We can make traditional looking shutters for a classic period property or modernise the look for a newer build. In bygone days, sea-side villas would have been shut up by their owners as they returned to their London properties and vice versa when they went on holiday, with the solid shutters secured with a throw-over latch system. The remaining solid or solid based option that we can provide is available in our wooden shutters only, as its weight would be too much in LDF ranges. 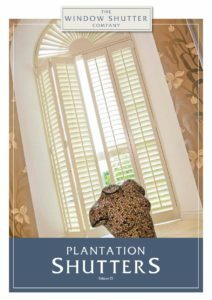 A stylish, yet traditional option, these shutters do not fold away or fit into original shutter boxes but will fold back to the wall or reveal when not in use. Available in many colours and finishes, these shutters are not provided with any furniture apart from the hinge so you would need to discuss or source a type of handle to be fitted so you can open the panels. Mounted in our standard frames these shutters do offer maximum light closure but obviously have to be opened to allow light in. The flexibility of the louvered shutters make them a more popular choice but there is still a place for solid shutters. 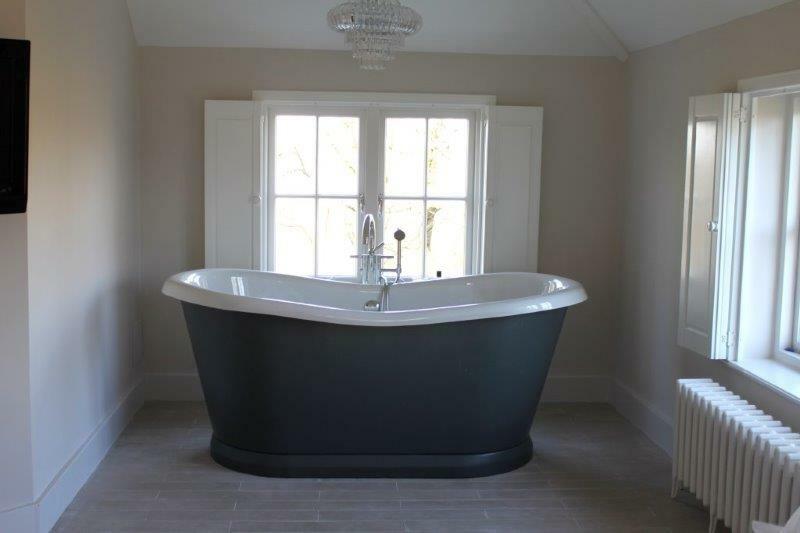 Ideal in period properties to add a feature, as a room divider to shut one room from another or just to dress a standard window the solid option can be discussed at your free home design visit. And don't forget to check out our Facebook page for more ideas.